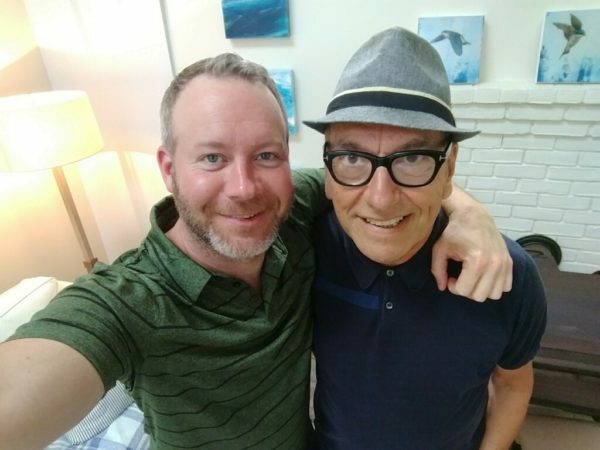 When Grammy Award Winner singer/songwriter Matt Alber was in P.Town again to perform at The Crown & Anchor during Bear Week to a community that consider him something of an iconic performer, he stopped by to talk to Roger Walker-Dack for ‘queerguru reports’ on PTV’s Channel 99. Although the conversation started off about his music, it soon moved on to Matt’s latest passion : a new documentary TV series called Room To Grow which advocates for LGBTQ youth. The 8 part series that he created with filmmaker Jon Garcia is due to released free on the Web this December. More information about the project can be found at moreroomtogrow.org . The interview was filmed by Hussein Wentz in the home he shares with his husband Andy Wentz.